Did you ever think, in your wildest dreams, that you could spot such a rare siight and THEN find out the history of that particular bird? If anyone questions the validity of the internet, I can’t think of a better example…well, that, and seeing cute dogs at the Grand Canyon! 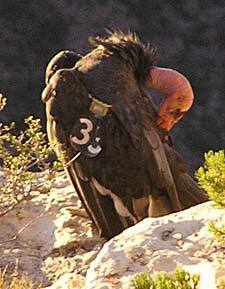 I’ve only seen one California Condor and that was in captivity. Even so, it stopped me in my tracks just because of the sheer size. Awesome!